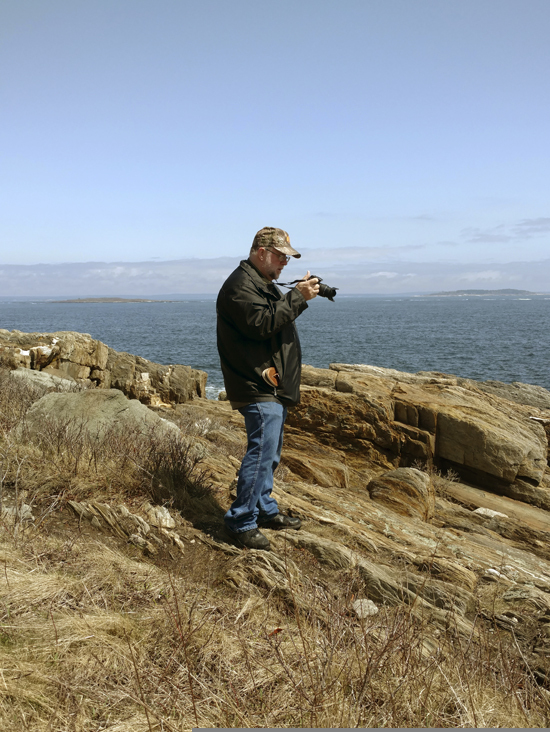 Yours truly photographing our daughter as she climbed along Giants Stairs, a dark basalt formation of 30-foot cliffs over a thousand feet in length along the Atlantic coastline on Bailey’s Island in Harpswell, Maine, April 28, 2018. With Mary having become a Traveling Nurse this past April, we’ve gone pretty far out of our comfort zone. Since late April we’ve been living in Maine while she works her first assignment and, as people have been telling us, we’ve seen a lot more in the short time we’ve been here than some have seen in 40 years of living here. It always does seem that way regardless of where you go. This is the current atate of the Directory for this apartment. There are a few placeholders yet for places we want to go to but haven’t gotten to. And honestly, even though this says it was assembled by “a guest”, some of these places were suggested by our hosts, especially after I told them of this project. So if you’re ever coming to Maine, these are some of the places we liked best. And if you’re already here, you’re welcome. Note: There’s a little symbol at the top-right of the PDF viewer below which will open it in the Google viewer full-screen. There’s also a download link below it so you can save it for later. 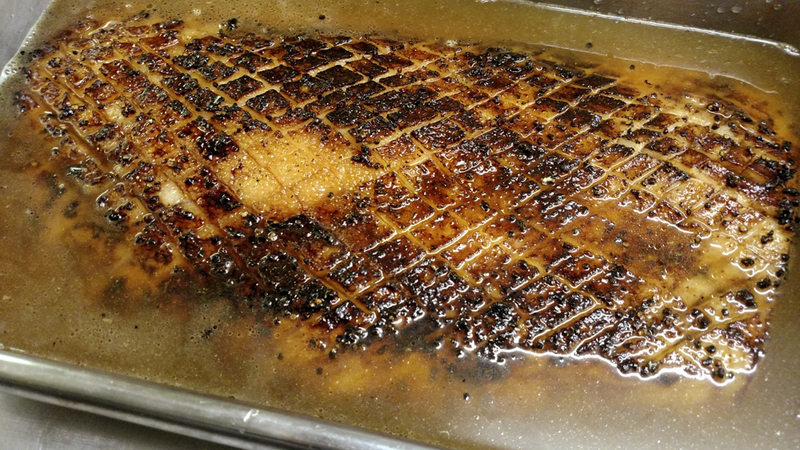 Oven-Roasted Pork Belly at our house. The recipe is below. Back when I was a kid, when all the good radio stations were still on the AM band, dad would listen to the Farm Report. Well, he had it on in the mornings, and he may not have been listening to it while he was only waiting for the Polka Hour from Frankenmuth to start for the morning. But there it was nonetheless. Dad came from a family of German-Russian farmers, and had partly grown up on farms in the area surrounding Alpena, Michigan. The family farm, with its outhouse and old red barn, had been located in Hubbard Lake, a place I have fond memories of. I understood the majority of the Farm Report when dad would have it on. We played an old card game called “Pit”, which had been originally released by Parker Brothers’ in 1904. The game basically duplicates what occurs at agricultural auctions, and you end up getting the “corners on” barley, oats, wheat, corn and the like. The game is now available again, and we do have a newer edition of it. But the game doesn’t cover other types of markets. So the concept of “pork belly futures” didn’t make any sense to me for quite some time. I couldn’t fathom why anyone would be interested in such a thing. Pork belly is the cut of pork that streaky, side or slab bacon is made from, which is what most Americans who eat bacon enjoy. It’s also used to make salt pork, which is popular for many uses. I end up shaking my head almost every time. 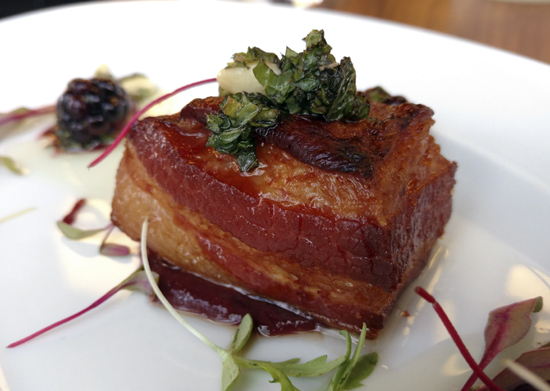 Throughout history, in many cultures, eating pork belly in its many preparations has been quite a normal occurrence. Nose-to-tail eating has been prevalent since the dawn of time, and it’s only been in about the past century or so that people in western cultures, particularly the U.S., have seen fit to be so elitist as to find it unappealing. 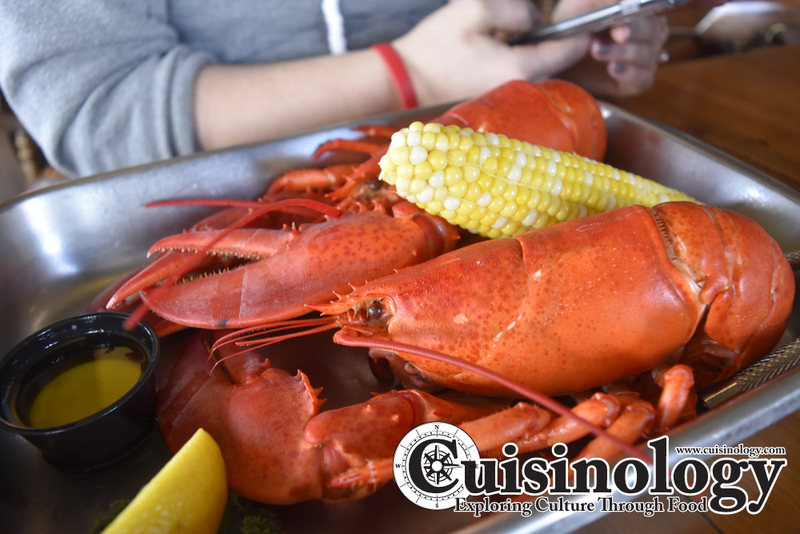 So-called “adventurous eating” is now a “trend”, and people now search out “nose-to-tail”, “farm-to-table”, and other such establishments in an effort to follow that trend, to be part of that clique, to eat “organically” as part of that clique. The truth is, that’s how people have always eaten. It’s not just a current “trend” to be part of. 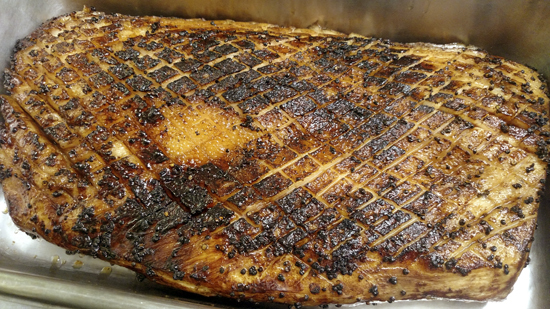 Pork Belly is a staple in many cultures outside the U.S, particularly eastern and Mediterranean cultures. Pork Belly served as a respected ingredient in an unpretentious Starter in a restaurant setting, from Chef Aaron Lawson at Brim House, Toledo, Ohio, September 25, 2017. Fortunately though, pork belly on its own is making a comeback as part of these “trends”. Pork belly as part of a ramen dish is astonishingly simple, while cured and slow-roasted variations are popping up on many menus. I first ran into this in about 2009 when I’d notice a half-pound pork belly sandwich on a local burger joint menu. 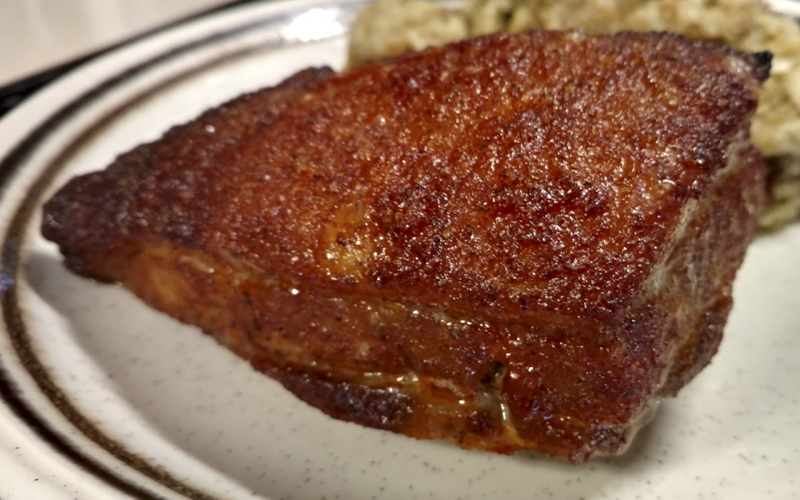 The pork belly was given a rub, slow-roasted under extremely low heat, and then seared to order. To say it was a joy to eat this buttery gem is an understatement. I saw it a few times afterward on other menus as well, but it wasn’t until the summer of 2015 that I felt the time was right to experiment with it. I’d spotted it on my supplier’s ordering site at a cost of $2.49/lb for a case of three sections of approximately 8.5lb each, and as the Father’s Day buffet was approaching I felt we could have some fun without too much expense. 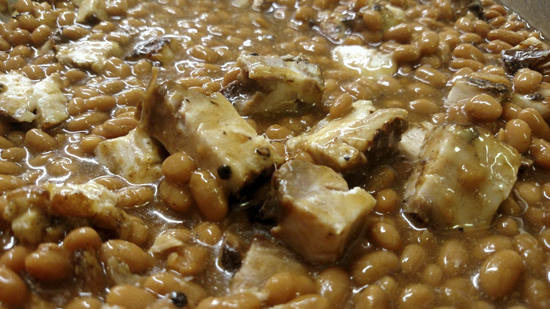 The Pork Belly & Beans at the Father’s Day Buffet it the Skyroom at the Indiana Beach Amusement Park in 2015. The recipe and other photos are below. Chef James and I decided we’d go for a pseudo-artisanal Pork & Beans for one of the buffet dishes. The baked beans themselves would be Bush’s Original straight from the can, which most dad’s really enjoy. But the pork was where we’d get a little more creative. I thawed down one of the belly sections and cut cross-hatched slits in the fatty side. I then made a simple brown sugar rub with salt, peppercorns, granulated garlic and a few other spices. Once rubbed, we let it sit in the cooler overnight. After searing all six sides on the flattop, we then got some cheap beer from the barkeep, mixed it 50/50 with chicken stock, and let it sit in a 350-degree oven for three-and-a-half hours. At one point someone checked the temp and told us it was done, but we’d understood leaving it the whole time was best. We only needed to replace any evaporated liquid with either chicken stock or beer, it didn’t matter which. We just made sure to keep it covered with liquid. We then pulled it from the oven and let it rest before cutting it into half-inch cubes to toss with the baked beans. The result blew everyone away. We just stood there eating the stuff, tossing back the buttery, pillowy cubes of fatty goodness like they were pieces of popcorn at a movie. I had to make the staff stop eating them so we’d have enough for the Pork & Beans. 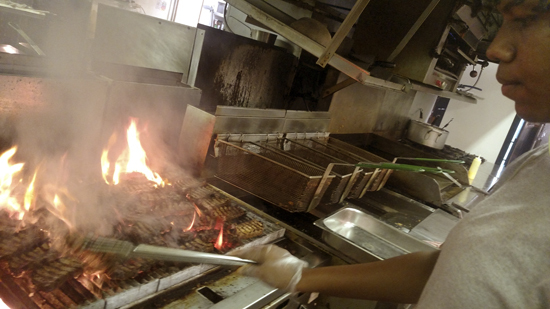 Chef Janelle in the Skyroom kitchen grilling up her Jamaican Jerk Pork Belly for sandwiches on the buffet in 2015. 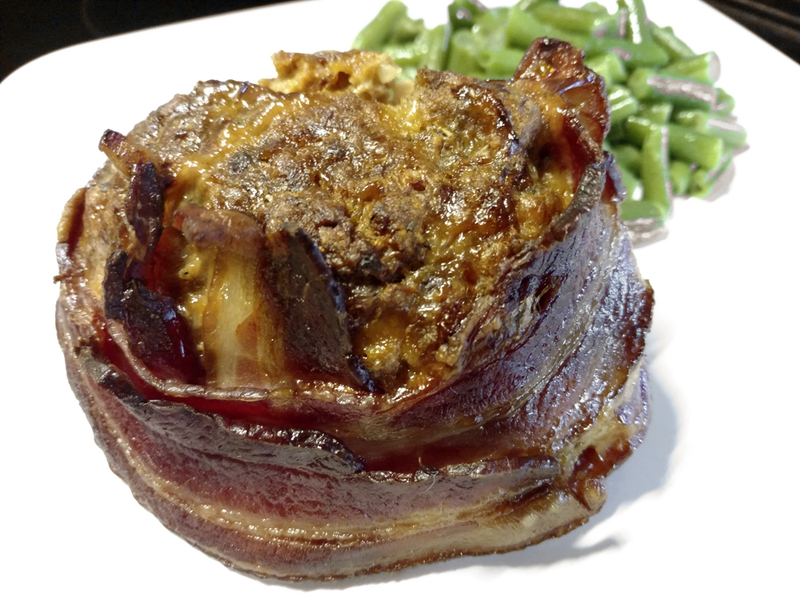 We did another batch of Pork & Beans at a later date, the same way, and it was again a popular offering. A few weeks later Chef Jenelle, from Jamaica, asked me in her beautiful Jamaican accent if there was any pork belly left. There was one more chunk, and I gladly let her have it. She mixed up her grandmother’s Jamaican Jerk seasoning, rubbed the belly with it and let it marinate in the cooler overnight. 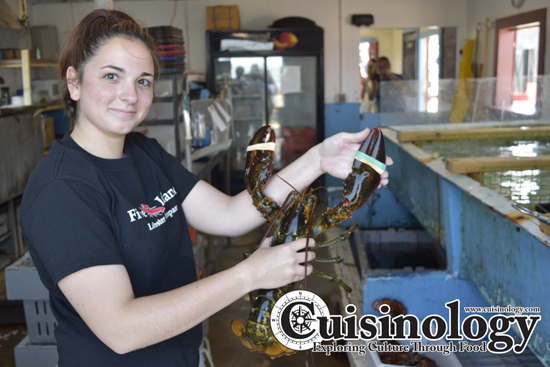 The next day, she cut it in half lengthwise, then each half into ¼” chunks. 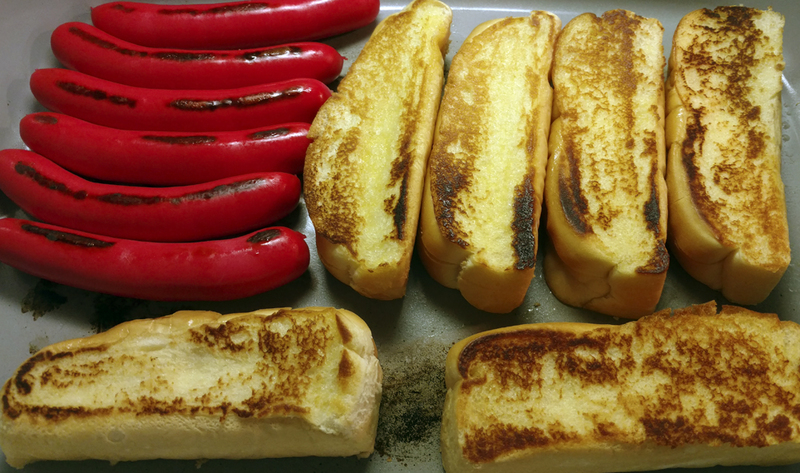 She then grilled the pieces and put them on the buffet alongside hoagie rolls, tomato slices and shredded lettuce for sandwiches. 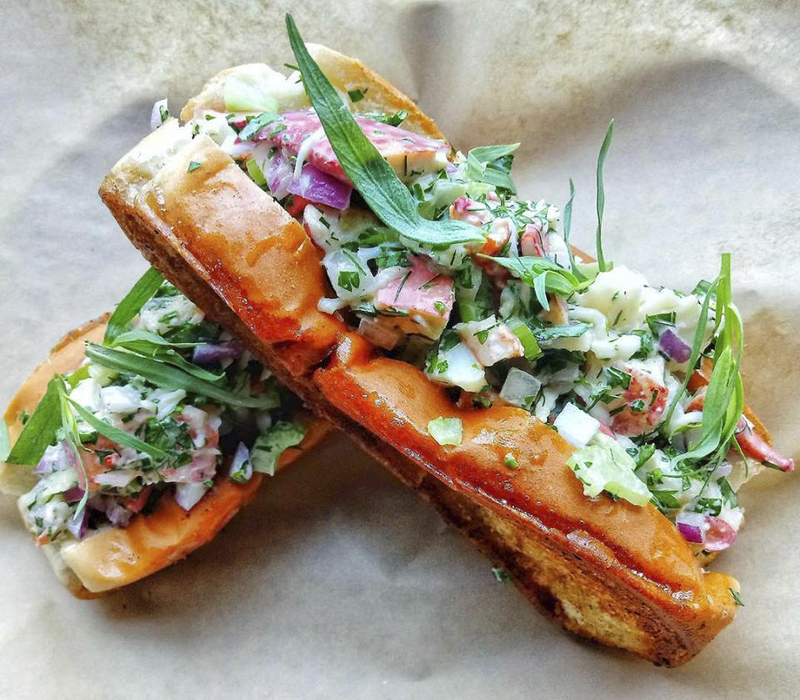 Jamaican Jerk Pork Belly sandwiches. An amazing concept that works really well. 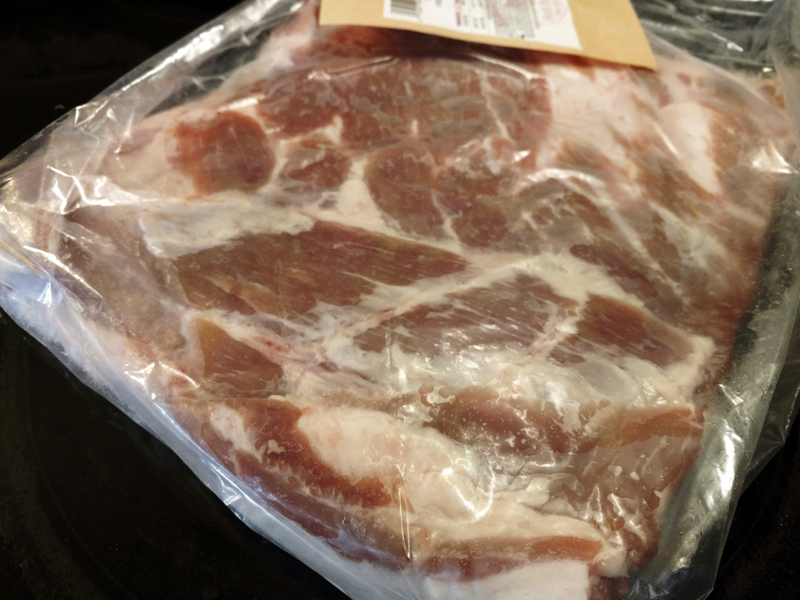 One of my many hunks of raw pork belly from Stanley’s Market in Toledo, Ohio. I’ve been able to play around with pork belly since. The most I’ve paid for it so far is $3.29/lb, the same day another butcher in Toledo was asking $5.29/lb for the same cut. It would seem that particular butcher was falling for the “trend” surrounding pork belly and nose-to-tail in general, and possibly escalated their price accordingly. The $3.19 price was at Stanley’s Market, a venerable Polish butcher shop and bakery that Mary’s parents shopped at while she was growing up. 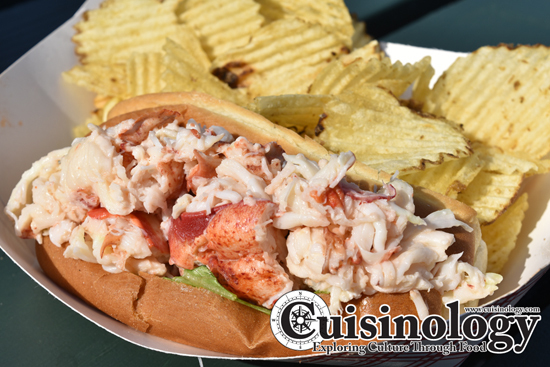 Stanley’s is the kind of place to seek out when looking for real food at reasonable prices. Because of the size of the pork belly cut and variations between animals butchered for it, cuts can be rather inconsistent. But you can still cut portion sizes based on weight, not thickness. 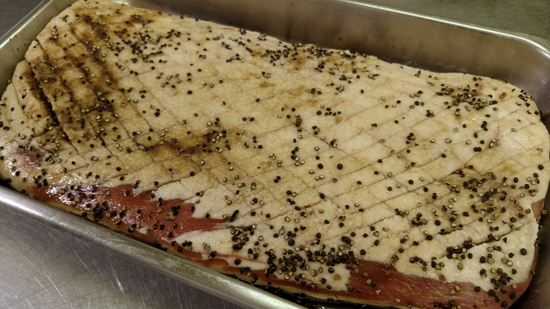 Most good pork belly preparations won’t be affected by thickness variations as they’re mostly low-and-slow processes. Still, the butchers at Stanley’s generally allow me to choose between three or four different slabs. I’m then able to get the one with the most consistent thickness from edge-to-edge even though it doesn’t much matter. Score crosshatches into the fatty side of the pork belly. 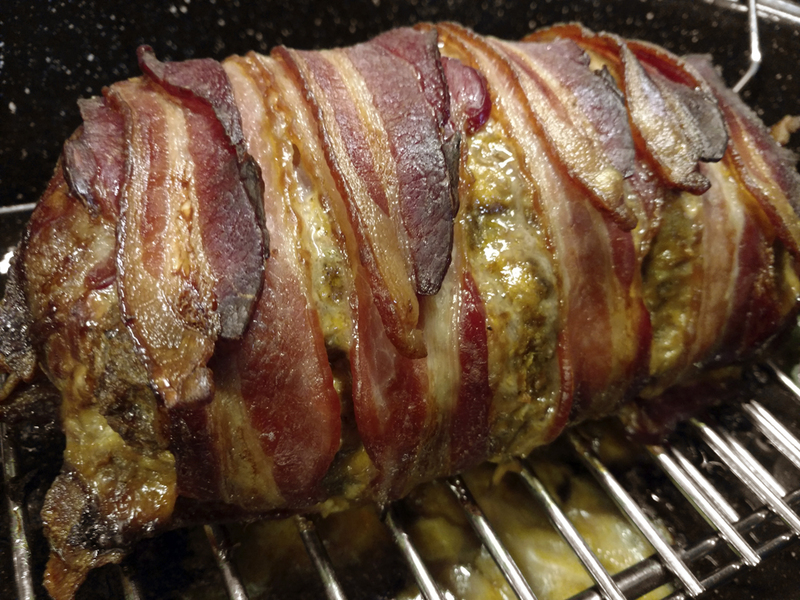 Using your hand (gloved if desired), fully combine the ingredients of the selected rub. Apply a generous amount of rub to all surfaces of the belly. 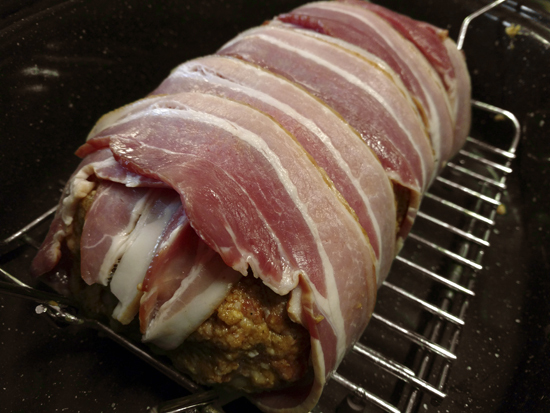 Cover the belly in plastic wrap and store in a refrigerator for at least 24 hours. A general-purpose preparation, this is what we cut into cubes to add to baked beans for the Pork Belly & Beans dish for the Father’s Day buffet. But you can also cut this as chunks to serve on sandwiches, burgers, to top ramen with, or other dishes, searing the cut pieces if you’d like. Variations are endless. Using one of the rubs described above (or using your own), generously rub all sides and edges of the pork belly. Refrigerate it overnight, but no longer than 24 hours. Heat a skillet, griddle or cast iron pan to 425F. Remove the plastic wrap from the pork belly and sear all sides, using tongs to hold it while searing the edges. Set aside to cool. Remove from the braising liquid. Finish and serve as desired. * We’re not looking for a specific temperature for the pork belly here, it will reach safe temperature about halfway through this amount of time. 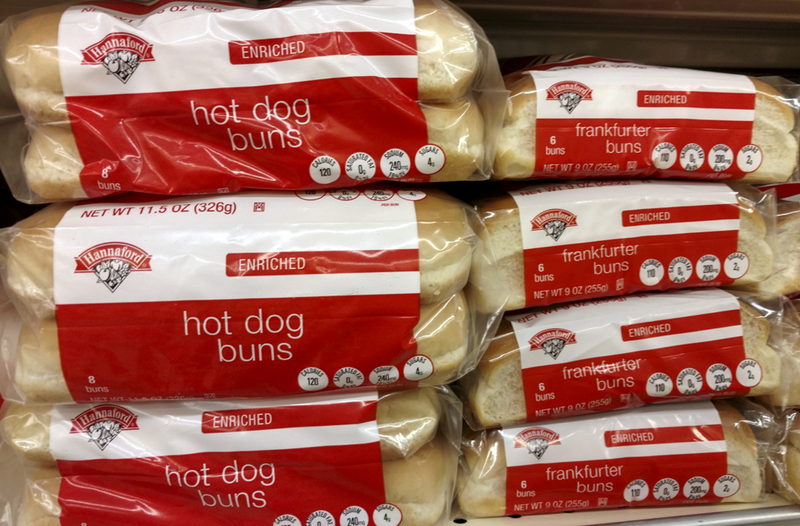 We’re looking instead for a pillowy texture, so just let it go. * Prop the oven door open slightly for the first ten minutes here so the heat inside will drop more quickly. Our bartenders for this development: Bree, Kim, and Mary. A habit we’ve started getting into the past couple years is vacationing on the east coast of Florida. As I write this, I’m sitting in a beautiful little duplex on the Indian River in Ft. Pierce. We had come here just over a year ago and fell in love with St. Lucie County and the surrounding area, along with really appreciating the people here, both the locals and those who are also habitual visitors. Arriving here from Michigan again last week, the duplex made us feel as though we had come home. Because of this feeling, we’re already making plans to come back next year as well. The duplex is owned by our friends Kim and Bill. Kim and my wife Mary had gone to high school together, and Kim and Bill rent the duplex out to various people throughout the year while living in their own home up the river. Built in the 1950s or early 60s, this quaint little duplex is simple, with hurricane-resistant concrete block walls covered with stucco, and poured terrazo floors. But the couple has really warmed up the interior with just the right furnishings that give it that strong feeling of home. 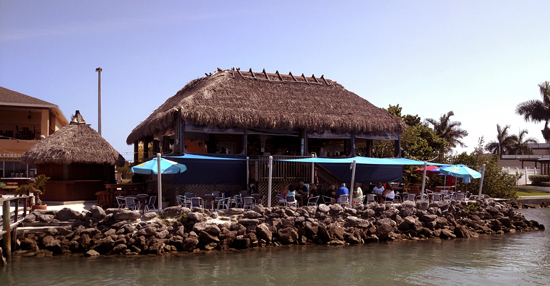 On The Edge Bar & Grill, as seen from the Ft. Pierce Inlet, April 12, 2016. On our first full day here last April Kim had driven us up the road a piece to the On The Edge Bar & Grill for lunch. Located on the north end of South Hutchinson Island along the Ft. Pierce Inlet that allows for boating and small ship access (Coast Guard cutters, heavy barges, small cruise liners, deep-sea fishing vessels, etc.) 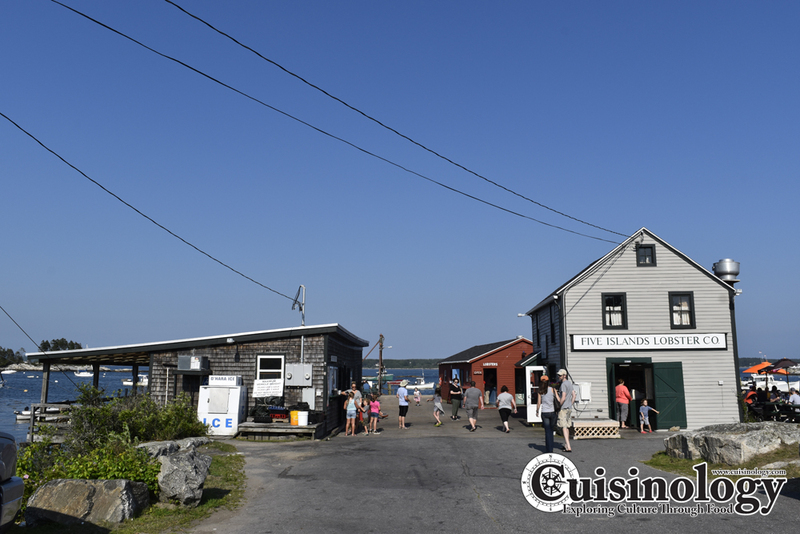 to the two-mile-wide Indian River, the restaurant is open-air with two levels. 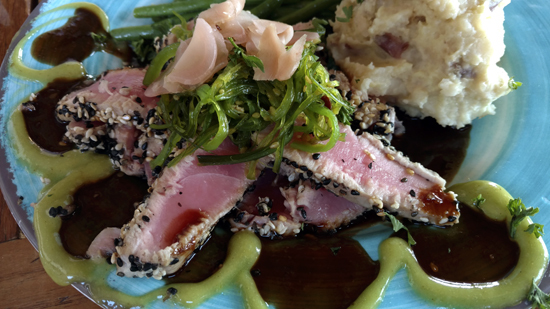 My Hoisen-Glazed Yellowfin Tuna at On The Edge Bar & Grill on May 9, 2017: Sushi-grade Ahi Tuna seared rare, with hoisin glaze and wasabi mayo, topped with a seaweed salad and served with sides of wasabi mashed potatoes and grean beans. 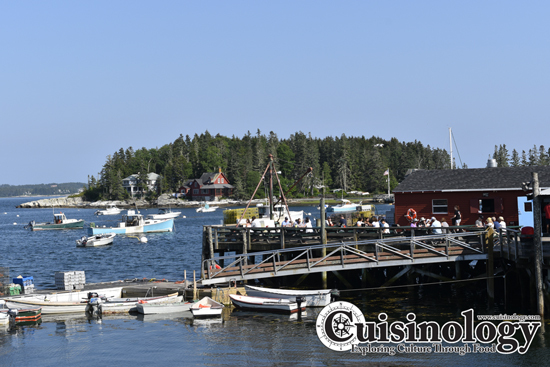 “All of the fish served at On the Edge Bar & Grill is fresh, locally caught & never frozen. Our Mahi-Mahi, Swordfish, and Tuna, in particular, are caught in deep water, approximately 150 miles offshore to the northeast of Fort Pierce. These fishing boats consume about $6,000 in fuel for a round trip that can last up to 3 days. If you don’t understand why fresh seafood can be expensive, read that again. But also understand the prices on the menu at On The Edge are extremely reasonable, and are actually comparable to those at better seafood restaurants in places like Toledo and Ann Arbor. 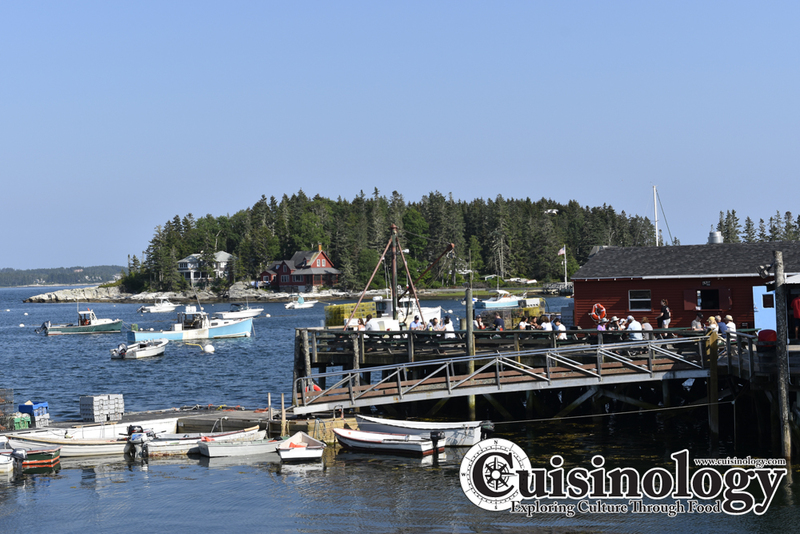 The seafood at On The Edge is better though, and worth the trip. It was at On The Edge during that lunch with Kim that Mary had her first-ever Rum Runner. Legend has it that the Rum Runner was first developed at a place called the Holiday Tiki Bar in Islamorada (“ah-lah-mor-ah-dah”) sometime in the 1950s when there was “an excess of rum and certain liqueurs that needed to be moved before the arrival of more inventory.” This makies sense, as a lot of dishes, from casseroles, to “Chef’s specials”, to Polish paczki for Fat Tuesday, were created this way and always will be. Some of the Rum Runners from our trip here in April 2016. Throughout our travels here over the past couple years, from here at the duplex through the 220 miles to Mile 0 at the southern end of US 1 in Key West 90 miles north of Cuba, Mary, Bree and I have tried quite a few Rum Runners at various establishments. There are apparently countless variations: One bar here in Ft. Pierce also has a package liquor store, and they specifically told me they use the Ron Corina 151 dark rum in their version, and sold me a bottle. This made for a Rum Runner that was far too strong, and not at all like Mary is used to. In trying all those other Rum Runners though, the flavor profile we appreciate most goes right back to On The Edge. We ate there again yesterday evening with a friend of Bree’s from high school who lives down here now and came to visit. 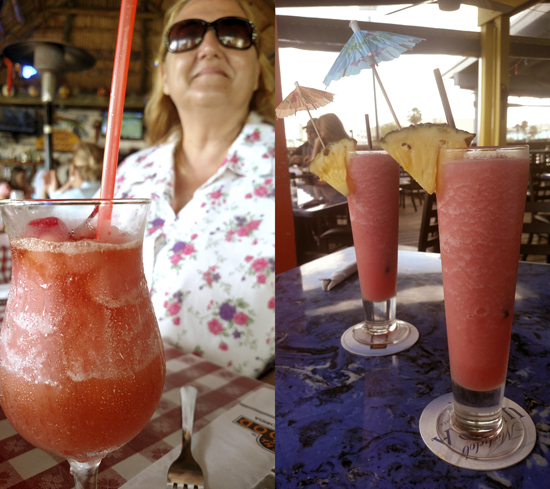 The Rum Runners were, to our taste buds of course, absolutely perfect. 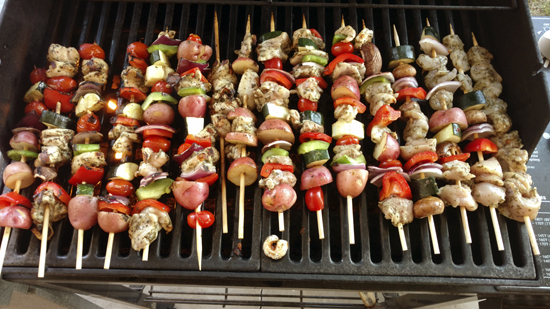 A couple evenings ago we hosted a shish kebab party for Kim, Bill and their two sons. Bree and I prepped chicken thigh meat, 51/60 p&d shrimp, as well as fresh veggies from the renowned Ft. Pierce Farmer’s Market. People made up their own kebabs on bamboo skewers, which I then grilled for them, serving with chips and hummus. One of the neighbor families also showed up, which was a good thing as Bree and I had prepped a lot of food! Between us we had also put together the rather expensive list of ingredients needed for Rum Runners, as laid out on the Florida Keys Guide web site. Restaurants and bars with larger liqueur inventories will certainly be able to have most of this on-hand for various beverages. It does get a bit unwieldly for two or three people, but if you regularly enjoy Rum Runners this shouldn’t be too much of a problem. 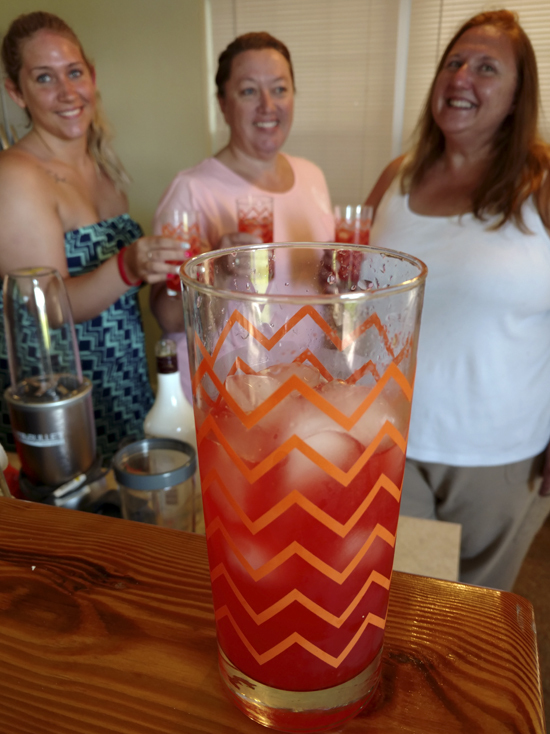 Bree, Kim and Mary put together the Rum Runners, and the flavor was extremely close to what On The Edge serves. Yup, it made for a fun evening! The ingredient list below is fairly specific. 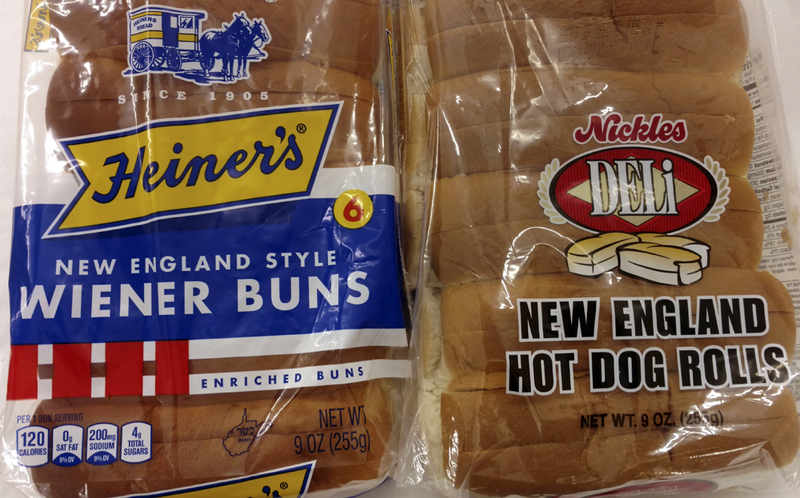 This combination comes quite close to what On The Edge is doing, but we make no claim to it being exactly the same. Make substitutions as is necessary or as you see fit. Your own recipe may be completely different. Amd that’s alright. Add one cup ice to each glass, and serve. If the frozen slush version is desired, pour the completed drink with ice into a blender and run until the desired consistency is reached.